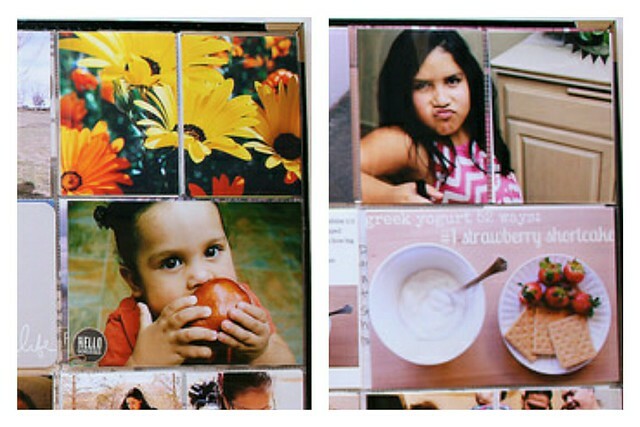 One of the things that sold me about pocket scrapbooking is that I didn't have to crop photos or paper when I didn't feel like it. (I did that happily and unhappily at times for years). 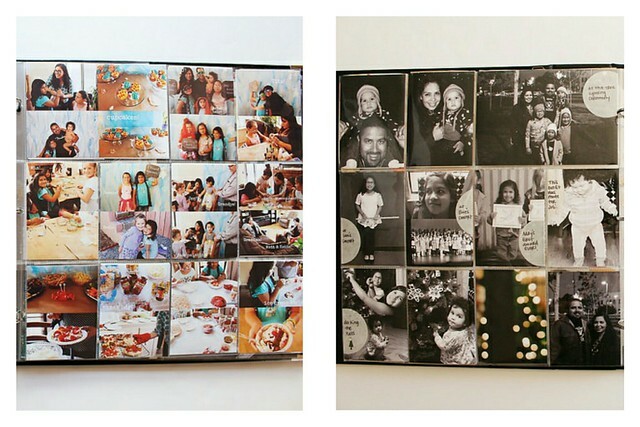 4x6" photos can be slipped right into 4x6" pockets- horizontally or vertically depending on which pocket protector you use. 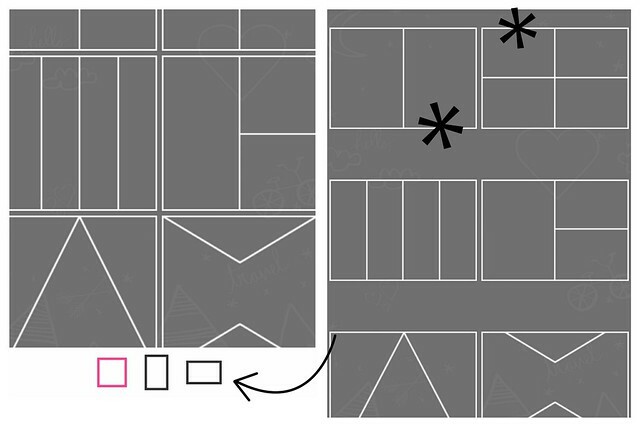 12x12" Design A and Design D page protectors (which are conveniently sold together, but also separately) seem like the traditional sizes to use. 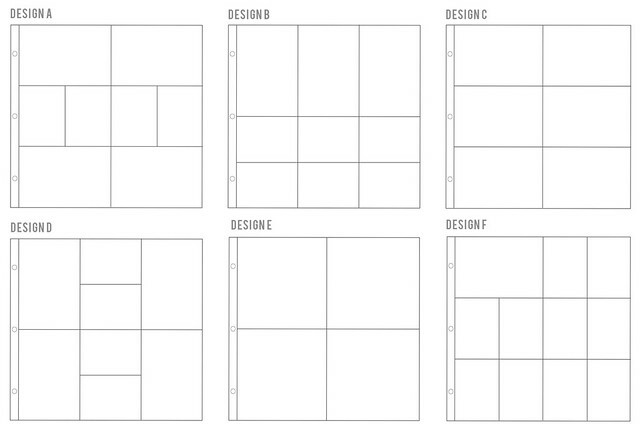 Design A is the pocket page protector I use the most often. In addition, 3x4" cards and 4x6" cards (those in any of the core kits) are already cut to size to use decoratively or for journaling. 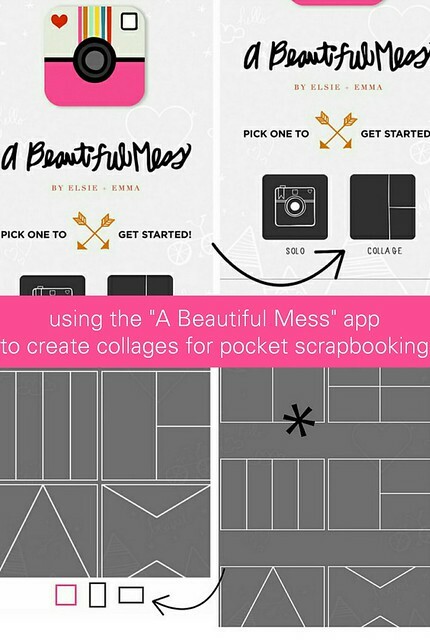 Pocket scrapbooking can be a very fast way to scrapbook if kept basic. 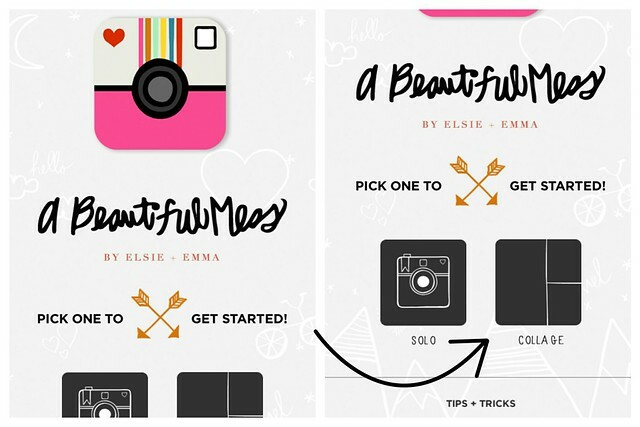 Last week, my sister Jasmine shared how she uses PowerPoint to resize and crop photos. See here. PowerPoint can also be used to make collages. 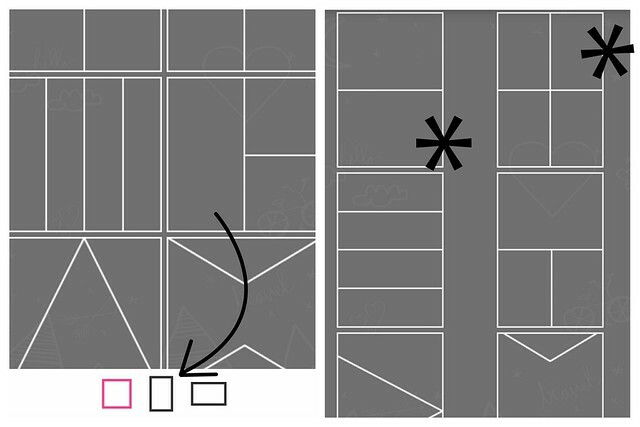 See step 4 of her process for "grouping" photos. I starred those I use most often. There is also a square size for square photos, which I use sometimes for Instagram, but not typically for pocket scrapbooking. Of course, the photos I want to use have to be on my phone to make the collages. I do use my phone's camera often, but I also download photos I've emailed to myself (or others have emailed to me) or I download photos onto my phone from photos I've uploaded to Flickr. I don't know if downloading them to my phone lessens the resolution quality (it's not that significant of a difference for what I'm doing anyway), but the ease and efficiency of using the collage feature on the app makes it worthwhile for me. I often process my photos using the VSCO Cam, then make collages. I blogged about how I use the VSCO Cam app here. I feel kind of weird sharing my long process with you (is it too much??) lol- but it's what I do. :) I hope you find it helpful.